We spent a few days in Santa Fe the first week of August. In addition to viewing some magnificent scenery - Bandelier and Tent Rocks National Monuments, among other things - I enjoyed returning to the great farmers market at the depot. 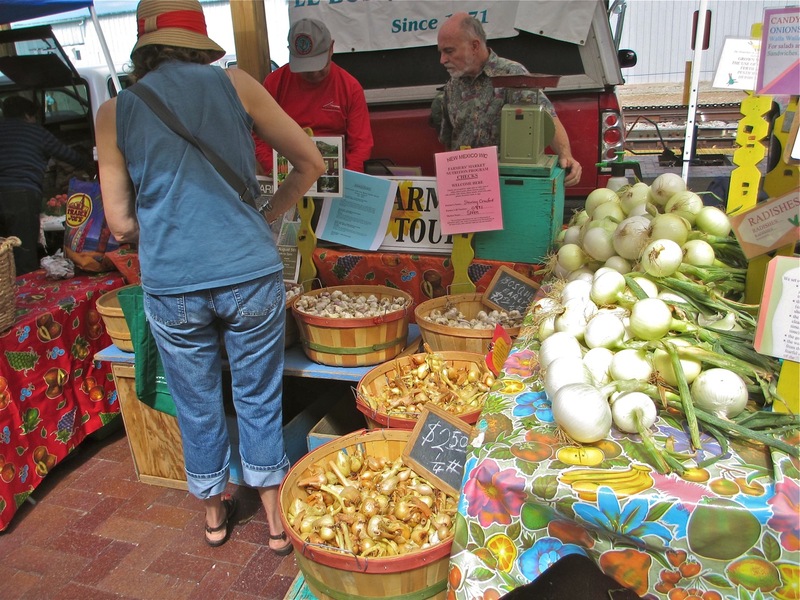 The produce is beautifully and appealingly presented by the proud farmers who grow it. 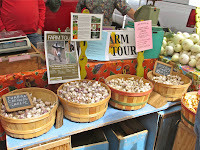 My favorite stand is that of El Bosque Garlic Farm, where many varieties of onions, garlic and shallots are sold. 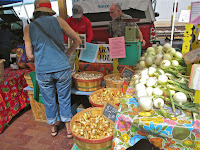 Among these are long-life shallots, which are supposed to last for six months or so in a basket on the counter. Despite being skeptical of this claim, I bought some last year, and indeed they were still excellent at Christmas time. So this year I bought more and shared them with my friend Piglet. Marinated Feta with Peppers, Roasted Garlic, etc. 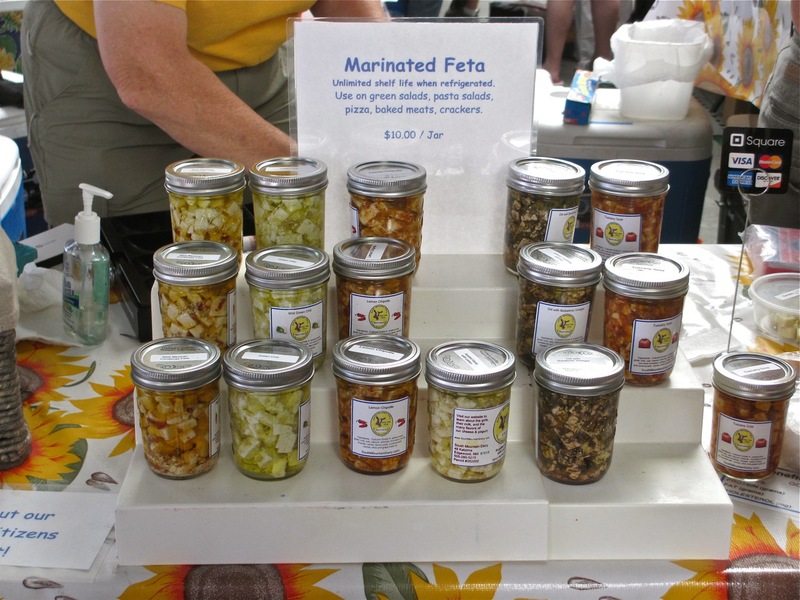 I also bought some feta marinated in roasted garlic and oil. (To my surprise, I preferred this to the one marinated in peppers and oil.) A transformative addition to a simple green salad. When I finish the jar, I may try to make this myself to keep on hand.